Welcome to Advanced Endodontic Associates, PA. Please get to know our doctors. They told me Dr. Zohn was the best and they were right. I am so grateful to this office. They were great.- Francis S Highly recommended!! 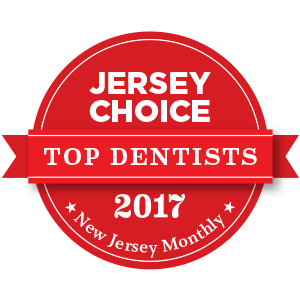 Thank you for your interest in Advanced Endodontic Associates, PA. We are specialist members of the American Association of Endodontists. We look forward to being of service to you. Our expert team, led by respected endodontic specialists Dr. Zohn, Dr. Berger, Dr. Apolito, Dr. Thai and Dr. Ostrometskaya includes an experienced endodontic staff. We provide the highest standard of professional care in a friendly, comfortable environment. By referring you to our office, your dentist has shown their concern that you receive the finest endodontic care possible. Our goal is to provide unsurpassed quality in a compassionate environment of professionalism and clinical excellence. We hope to exceed your expectations. We hope that the information provided here answers many of your questions about endodontic treatment. Your Dental Health is our Priority. Call our office today! Office Hrs • Ocean Township: Mon,Tue,Wed,Thu 9am-5pm, Fri 9am-4pm. • Freehold & Middletown: Mon,Tue,Thu 9am-5pm, Fri 9am-4pm. Root canal surgery is used in cases where conventional root canals are not possible (calcified canals) or may have failed (become infected). In this procedure the endodontist makes an opening in the gum tissue and removes the infected tissue and the end of the root. A seal is placed at the end of the root to prevent further infection. The material used is MTA (Mineral Trioxide Aggregate), which is a state of the art material that is far superior to previous materials used for this type of procedure. With the infected tissue removed and MTA seal placed, the bone is replaced naturally by the body over the course of a few months. For more information on root canal surgery, please visit our root canal surgery page. 5 out of 5 stars based on 662 reviews. My son had a great experience left the office with minimal pain. They told me Dr. Zohn was the best and they were right. I am so grateful to this office. They were great. Highly recommended!! Dr. Zohn and staff are great. As good as a root canal experience can possibly be. The technology and medical knowledge were first rate. Staff at the front desk were exceptionally helpful and sympathetic. Dr. Apolito came highly recommended by my dentist. Dr. Apolito and his staff did not disappoint and I would recommend him and his staff to anyone. Everyone was pleasant, and funny and made an undesirable procedure of a root canal an easy and painless process. I have had root canals done before with other endos and Dr. A was by far he best doctor I have had. I was very pleased with Dr. Ostrometskaya. She did excellent work. She was very efficient and concerned about how I was doing. I would highly recommend Dr. O. Excellent service, treatment ad doctor! I had Dr. Yelena Ostrometskaya perform my very first root canal and I could not be happier with the procedure and outcome. Dr. Ostrometskaya was so professional and made me feel at ease throughout the entire process. I would highly recommend her to anyone looking for an endodontist! Dr zohn is so nice and professional! He is highly skilled,highly tech, and is pleasent and nice to his patients. Wld def recommend! My experience with this efficient staff and the skill of Dr Zohn could not have been more wonderful. I would highly recommend Dr Zohn because of his many years of specialty surgery and his very kind manner. I'd give 100 stars if possible! Great experience. Happy to have my tooth feel better! Thank you for your excellent care and for your flexibility and accommodation on obtaining an appointment during a challenging time. Execellent treatment by Dr Apolito. It's amazing how fast and efficient he was able to treat my tooth with minimal pain. I had an emergency call to the office during the holidays but they were able to squeeze me in and do eveything to assist me. I have also taken my mother to DR Apolito and she couldn't be happier with the care she received. Truly, one of the best dentists and dental experiences. I had a terrible fear of dentists and I had a very difficult time having any type of procedure done due to pain that went along with them. I can’t even tell you how amazing Dr. Thai was today. I did not feel any pain and she was so attentive to my needs. She actually made me feel comfortable. I recommend her 100%. And I can’t thank her enough! !